Cap and Dividend | PRICE CARBON NOW! Write to your Councillor urging to support divestment from fossil fuels! Cap ‘n Dividend by Cap&DividendTV gives simplistic overview of how Cap and Dividend system would work. The distribution of the auction revenue equally to households or individuals (or dividends) would reverse the potentially regressive nature of carbon pricing. Without dividends, lower income households will be disproportionately negatively affected as a result of the increase in cost of living. Studies on cap and dividend in the US scenario have suggested that the lower three income quintiles will experience a net positive effect. 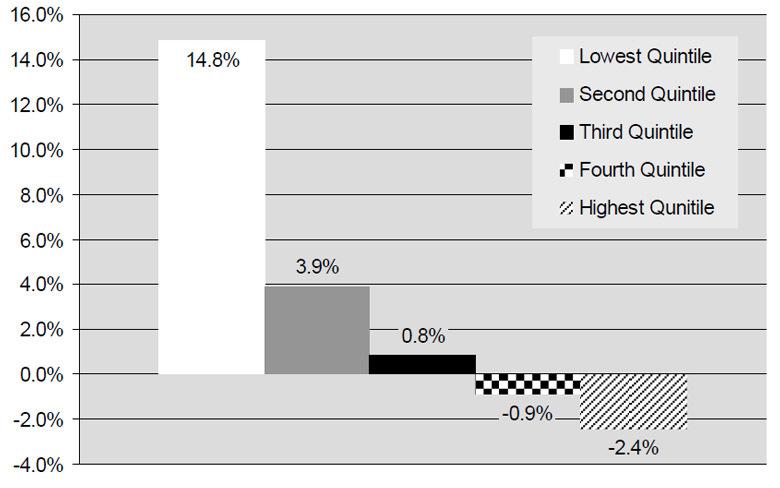 For example, the poorest 20% of the families would have a 14.8% income gain with a cap and dividend system (shown below). Follow PRICE CARBON NOW, ON! The Ontario Environment Industry Association (ONEIA) is hosting a morning seminar with the Ontario Ministry of the Environment and Climate Change (MOECC) where representatives from the MOECC will discuss details of the Province’s cap-and-trade plan and climate change program. The Ontario Climate Action Network is a network of organizations in Ontario that works to enable adoption of progressive climate change legislation.